I once tried to be vegetarian for about 2 minutes, but it didn't really work out because I love steak too much. Now I generally eat vegetarian on weeknights, and save meat meals for eating out on weekends. When I got invited to a vegetarian press dinner however, I was really excited to see what would be served because I feel like it's generally more challenging to present satisfying meatless entrees. I was so blown away that I can happily tell you that if I could eat the kind of food I had at Table Verte on a daily basis, I'd probably be able to go vegetarian. Probably. 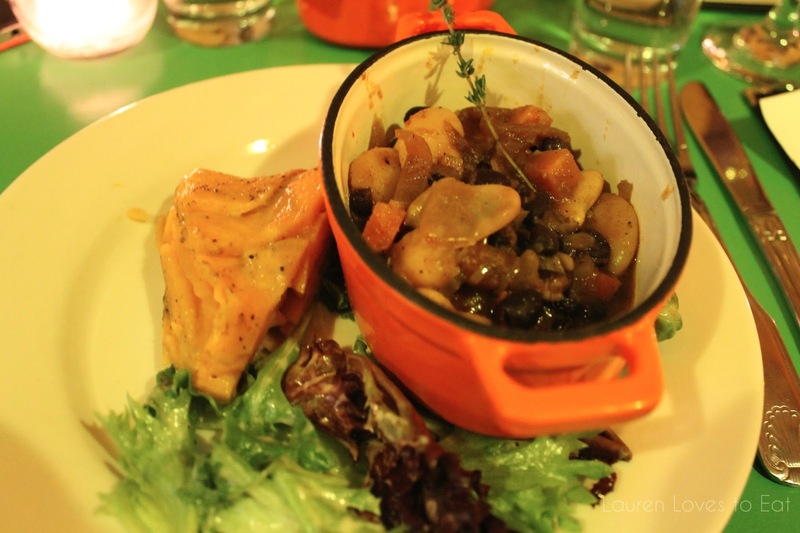 The restaurant serves healthy vegetarian French cuisine and many gluten-free items, and focuses on serving the freshest seasonal food at very reasonable prices. The menu changes often, but because of its popularity, the cassoulet which we got to try tends to be a mainstay. 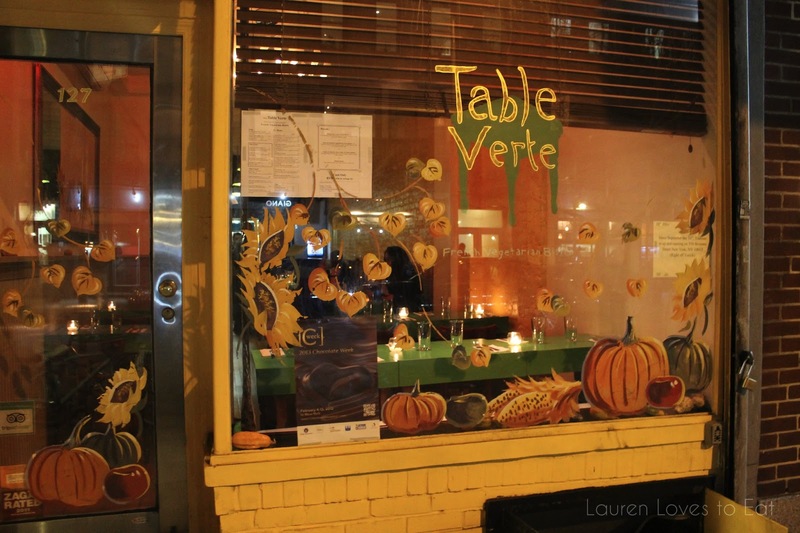 At the moment Table Verte does not serve alcohol, but does offer BYOB with no corkage fee. Homemade bread with caramelized onions and sea salt. This was served warm and soft, and was a great start to the meal. Plat Froid: Celeri rave remoulade, lentils vinaigrette, beets with horseradish, assiette de carrots. All of these were gluten free and are generally offered on the menu as individual items. The lentils were amazing and had a hint of aromatic spices in it. Everything tasted so fresh and had the perfect amount of seasoning. I would have this for lunch everyday if I could. Cassoulet Vegetalien: Vegan mixed beans stewed with roast shallots over wild rice. This was a terrific stew. So great that it didn't bother me one bit that there was no meat in it. 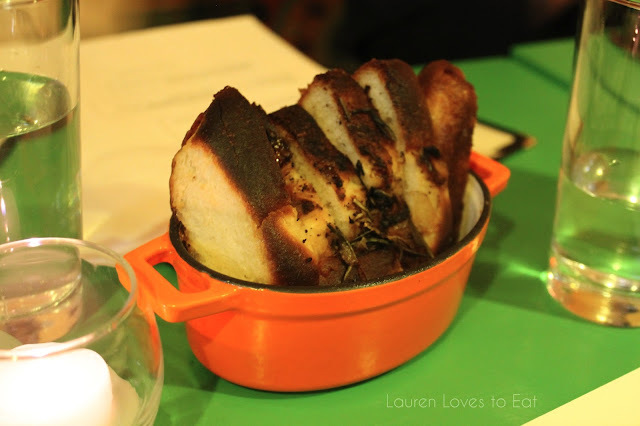 It was so rich and flavorful on its own that I didn't feel like it was lacking anything. 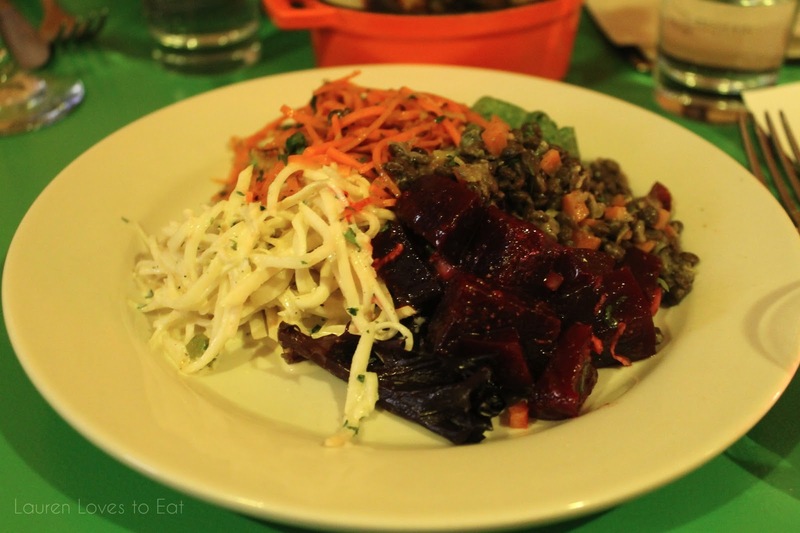 The side of yam was deliciously sweet, and the salad was prepared with the typical French dijon vinaigrette dressing. 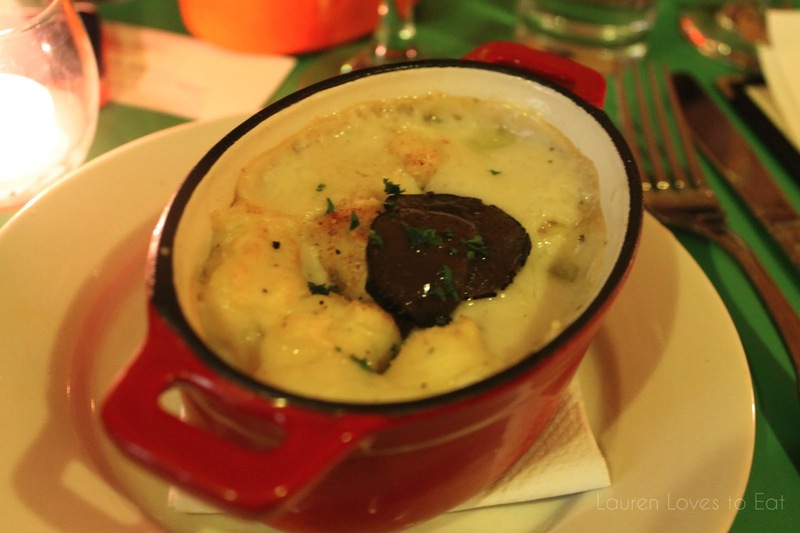 Gnocchi Parisian au Gratin: The best part of this gnocchi was that there were actual pieces of truffle scattered throughout the dish. The gnocchi was so incredibly soft, and combined with the white sauce and swiss cheese, this dish just about beat out my love for the cassoulet. Almost. 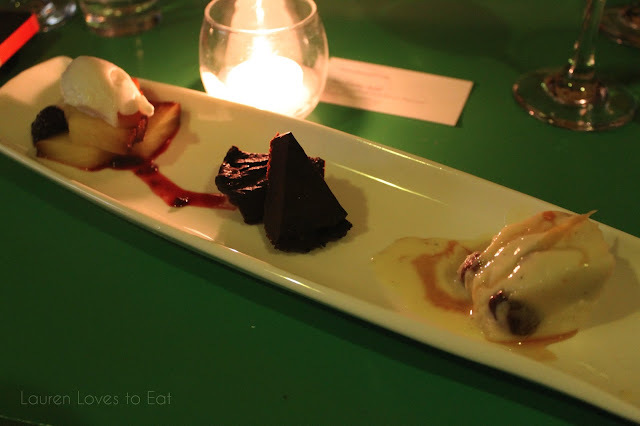 Trio of Desserts: (Right to Left) Roasted pineapple, tarte au chocolat, wheat semolina cake. The chipotle smokiness in the pineapple offered a truly unique twist on dessert. Topped with sorbet, it was simply fabulous. The chocolate tart was the only disappointment of the meal. To stay gluten-free, the chef overcooked rice to make the tart crust. As a result, the stickiness holds the tart together, but is also entirely too chewy to be enjoyable. The last dessert of semolina cake lifted my spirits back up though. I loved the wheat texture and the fact that it was covered with rum raisin and fresh cream. A dream come true. Btw, we need to set a cupcake date for March! Wow, it looks like that on auto? that's crazy! your camera is awesome. Try the cake batter one, it was heavenly!